With the April school holidays, the Easter long weekend and Anzac Day all upon us now, there will undoubtedly be more people taking to the roads on their way to various holiday destinations. Dubbo Regional Council officially open a Tesla Supercharger station at the Western Plains Cultural Centre in Wingewarra Street Dubbo on Tuesday. Dubbo Regional Council will commence a Community Needs Survey to gauge the level of satisfaction residents have of the operations and functions of Council. Dubbo Regional Council staff will be undertaking rejuvenation works at Macquarie Lions Park in Dubbo in order to improve the presentation of the popular space. Dubbo Regional Council held its Ordinary Council meeting on Monday 25 March in Dubbo. 20 Mar 2019 Double check your dog fences for the safety of our community. Dubbo Regional Council are conducting both telephone and online surveys in our region which commenced Monday 18th March to find out about the community’s understanding of Council waste services, in particular the Food and Garden Organics service. Dubbo Regional Council held meetings of the Planning, Development and Environment Committee, and the Infrastructure, Community and Recreation Committee on Monday 12 March 2019. The meetings were chaired by Councillor Lawrence. 4 Mar 2019 Free Cuppa for the Driver kicks of its 9th year with the launch of the 2019 phase. Thursday 28 February, saw the official launch of the award-winning 2019 phase of Free Cuppa for the Driver road safety and fatigue-prevention campaign, hosted by Bathurst Regional Council and the Harvest Café and Store in Bathurst. A long-time dream of a committed group of Dubbo residents is one step closer as the construction of the William ‘Bill’ Ferguson bronze statue commences. Mayor of the Dubbo Region Ben Shields is pleased to partner with Family and Community Services (FACS) to deliver much needed improvements to Delroy Park in West Dubbo. Mayor of the Dubbo Region Ben Shields and the State Member for Dubbo Hon. Troy Grant today took a tour of the Dubbo Regional Botanic Garden Nature Based Adventure Playground to observe its progress ahead of the official opening to the public later next month. Dubbo Regional Council held its Ordinary Council meeting on Monday 26 February in Dubbo. Dubbo Regional Council held meetings of the Planning, Development and Environment Committee, and the Infrastructure, Community and Recreation Committee on Monday 11 February 2019. The meetings were chaired by Councillor Lawrence. Dubbo Regional Council has made the tough decision during its Infrastructure Community and Recreation Committee Meeting to approve the removal of the Claret Ash tree at the Wellington Memorial Pool. Primary school children across the Dubbo Regional, Narromine Shire and Mid-Western Regional Council areas will be learning about their environmental responsibilities through a series of sustainability education workshops focused on organic waste recycling and reducing packaging. Dubbo Regional Council is calling all local businesses to sign up for a unique business development program providing invaluable help and resources to grow and enhance their profile plus be awarded a share of $20,000 in grants and prizes. 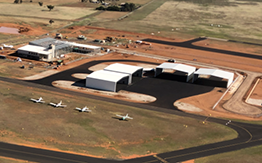 The incredible growth at Dubbo City Regional Airport will continue into the future because of a $17.5 million upgrade officially opened on Tuesday. Seventeen deserving residents of Dubbo and Wellington have been recognised for their contribution to their community at Australia Day celebrations. Mayor of the Dubbo Region Ben Shields has welcomed a commitment by Nationals candidate for the Dubbo electorate Dugald Saunders to build a $30 million car park for Dubbo Hospital if elected. As we commence the first term of the NSW school year, Dubbo Regional Council is issuing a timely reminder to drivers to slow down and look out for children around schools during school hours from Tuesday 29 January 2019. Dubbo Regional Council has unveiled a plan to increase the amount of shade and trees around the city’s playgrounds. Over the next two years $1 million of Council funds will be invested to the project, which will enhance 10 parks around Dubbo. Following the announcement made by Dubbo Fireworks Committee that it will not continue, Mayor of the Dubbo Region Councillor Ben Shields would like to extend his appreciation to the committee. Dubbo’s place in the top 10 of the Wotif Aussie Town of the Year Awards for 2019 is fitting recognition for the city, Mayor of the Dubbo Region Ben Shields has said. Dubbo Regional Council has taken a proactive approach to attracting new businesses to Dubbo, encouraging Coles to consider the city as a location for a new automated distribution centre. Dubbo Regional Council is seeking nominations from the community of outstanding citizens to be recognised in the 2019 Australia Day Awards for Dubbo and Wellington.